HVAC regulations have seen their fair share of changes over time. 2017 is no different. This year ushered in a couple of updates to the said regulations. Here are the latest changes and additions to HVAC regulations that contractors should be aware of. Not all states have adopted the latest changes and additions to HVAC regulations. This is because the adoption of regulations is done state by state. Just to be on the safe side, contractors should check the energy code of each of the states they work in. The latest changes and additions to HVAC regulations focus on adherence to strict environmental standards. Ozone-depleting substances (ODSs) such as chlorofluorocarbons have been phased out. The environment-friendly hydrofluorocarbons are suggested substitutes instead. Contractors are also asked to follow correct disposal procedure when handling ODDs and even hydrofluorocarbons. This would include being certified handlers of refrigerants and updating records regarding their disposal. Such measures are designed to significantly lessen carbon pollution. Apart from the environment, the latest changes and additions to HVAC regulations give precedence to energy efficiency. Both heating and air conditioning systems should follow the required Seasonal Energy Efficiency Ratio (SEER) and Energy Efficiency Ratio (EER). 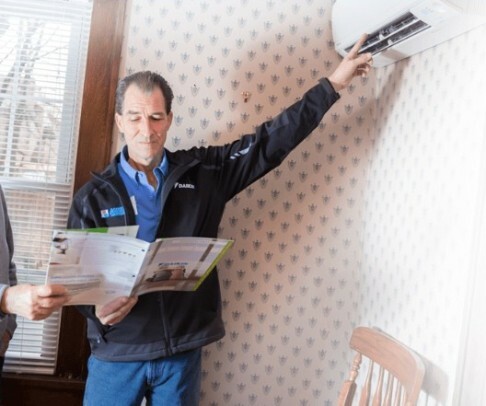 While there is a slight uptick of both SEER and EER in some Southern and Southwestern states, new regulations are in place for split-system HVAC systems in all locations. The minimum SEER requirement for split-system HVAC is now at 14. Another significant change affects roof top HVAC systems particularly in low-rise buildings. As set by the Consortium of Energy Efficiency (CEE) and adopted by the Department of Energy (DOE), HVAC contractors must see to it that their systems comply with the new efficiency requirement which is 10% higher as compared to the old minimum standards. This will continue to increase and is expected to reach up to about 30% by 2023. The latest changes and additions to HVAC regulations do not affect commercial buildings alone. Residential HVAC systems are not spared by the updated regulations. Again, both the SEER and EER have slightly increased but will depend on the location of the state. Warmer southern and southwestern states increased both SEER and EER while colder northern states retained their current standards. All these changes can potentially affect building costs. However, the latest changes and additions to HVAC regulations have been designed to lower operational costs while being friendly to the environment. This design makes the high initial investment truly worth it in the long run.